Man, recently I've been so freaking obsessed over hanging mobiles. Like, really really into them. I can't stop thinking about making them - this is the first one I'm working on. 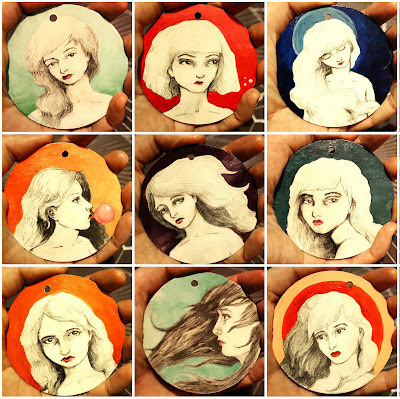 It's a series of discs with pencil sketches of ladies on them. Getting to do doodles on them in front of the tv was really fun, looking forward to making more of them.